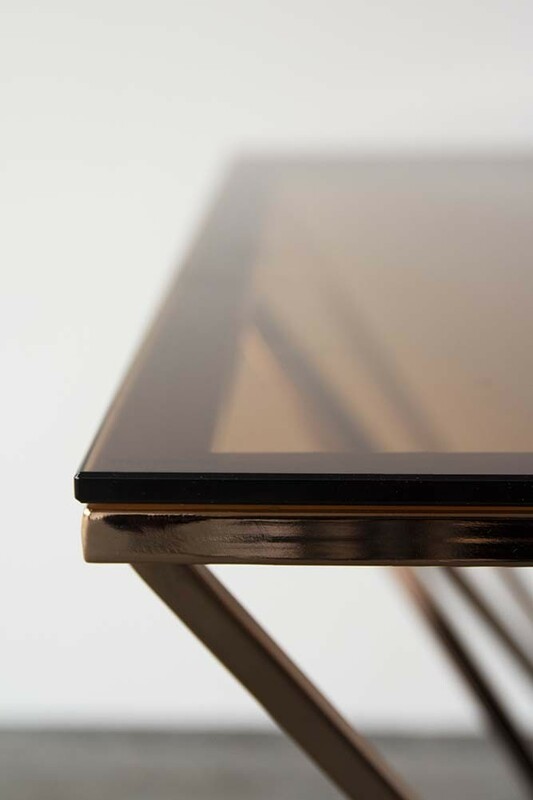 A coffee or side table is an excellent focal point for your interiors and can tie the whole aesthetic together. 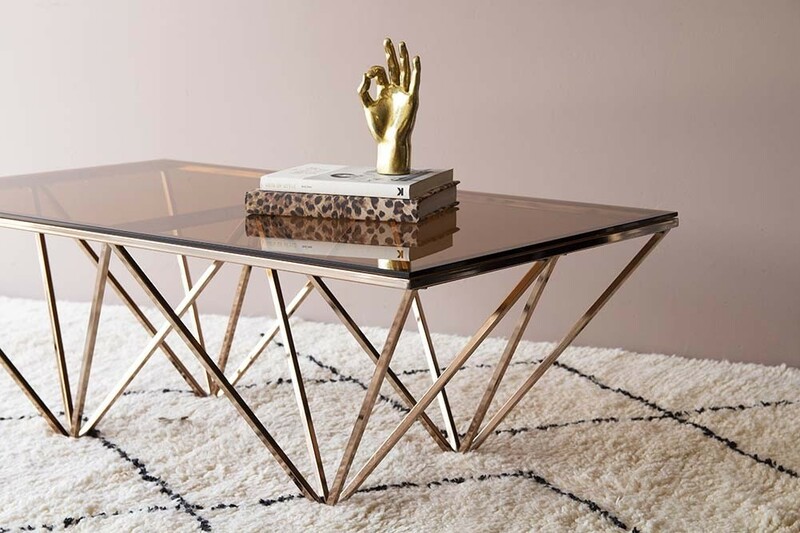 So, to create the extraordinary interiors of your dreams, it’s important to source a timeless coffee table that will suit your décor now and in the future.​ Pure elegance and sophistication the Smoked Glass & Rose Gold Pyramid Coffee Table will do exactly that. 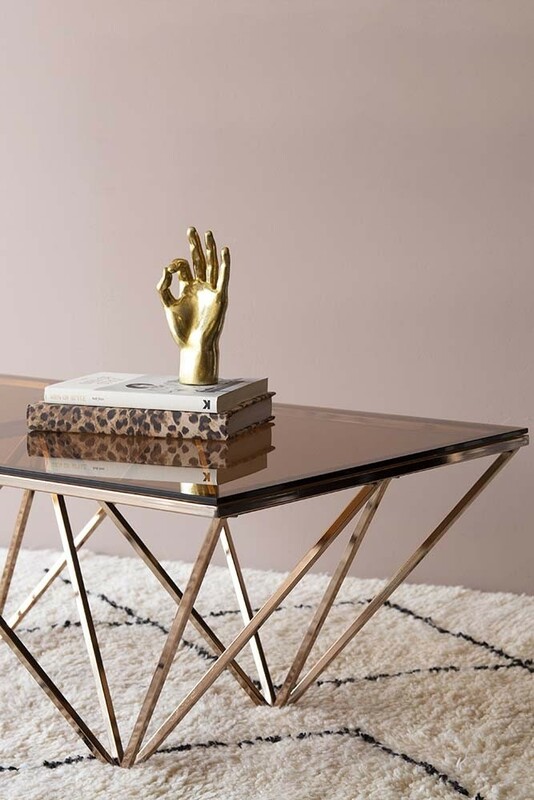 With golden geometric style legs that demand the eye and a softening rose gold glass top, the Smoked Glass & Rose Gold Pyramid Coffee Table will add modern glamour to your living room. 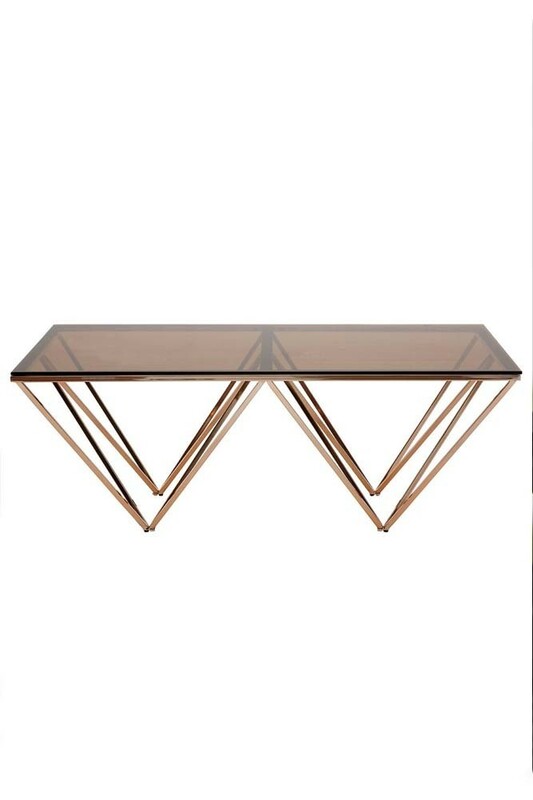 Super versatile, the Smoked Glass & Rose Gold Pyramid Coffee Table would suit a variety of decors from contemporary living to glam rock and in our opinion it’s a timeless, investment piece that you will fall in love with over and over again. 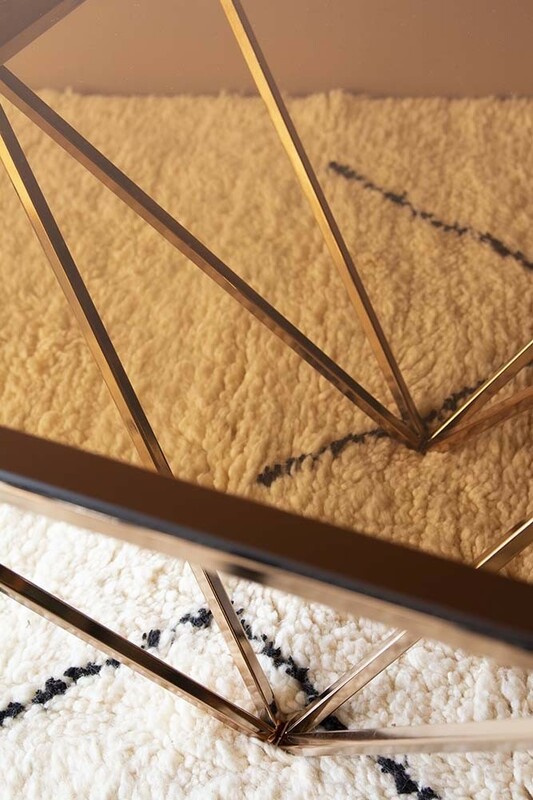 RSG Top Tip: To create a Coffee Table ‘style spot’ experiment with different heights. Cluster quirky ornaments, vases and books in an asymmetrical display, it’s a style trick used by all top interior designers and can really draw the eye! 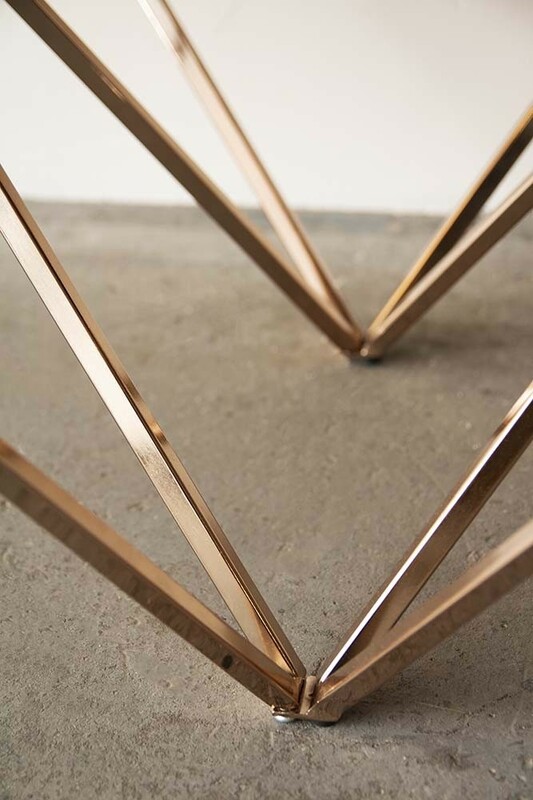 For our 10 Top Tips to create a Coffee Table Style spot, check out the Rockett St George blog.